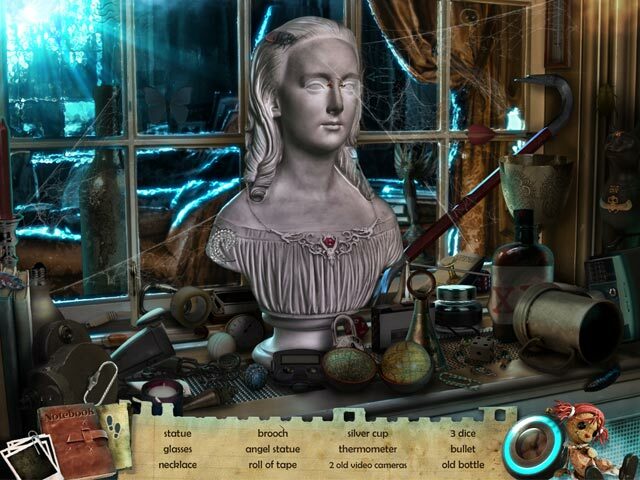 Uncover your grandfather’s secret in Youda Mystery: The Stanwick Legacy, an incredible Hidden Object Puzzle Adventure game! After inheriting Stanwick Manor, Emma searches the house and discovers that there is a secret to reveal. 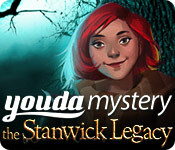 Finding proof that the house isn’t as abandoned as she was led to believe, Emma must now solve clever puzzles and make her way into locked rooms to discover the truth behind the mansion in Youda Mystery: The Stanwick Legacy! Youda Mystery: The Stanwick Legacy is rated 3.6 out of 5 by 88. Rated 5 out of 5 by SparkleGlow100 from Stylistically riveting. Big on HOPS. Real pictures of manor. Fills the whole screen. GRAPHICS: Realistic scenes, with emphasis on light and dark effects. Creep around large, expansive and smaller rooms, hallways and secret passages. HOPS: LOTS and clear PUZZLES: Quite a few SOUNDS: Good HINT: Not very good DIFFICULTY: only 1 mode MAP: Will only remind where there are things to do. NOT travel. INVENTORY: Stays locked JOURNAL: Yes CHARACTERS: Not really any character interaction. Talks about characters that were there once, giving the game a sense of discovering past history. The young woman’s voice is a little annoying, but she hardly talks much. Rated 5 out of 5 by luvsebring from suspenseful game for a change with visually rich atmostphere As far as HOS games go, I really liked this one. The house was really interesting visually and game-wise. I've seen a lot of visually rich atmospheres, but this one was gorgeous, causing me to really look at the scenes themselves rather than just rushing though the game. The story line was actually suspenseful and I found myself even at the end wondering how it would all turn out. Rated 5 out of 5 by ArtMinx from Gorgeous Graphics! Exactly what I've been longing for in a search-the-manor style HOG game. Of all the game titles that BF claims have "gorgeous graphics", this one is not mentioned and it has my vote for the Best. The detail of each room on the ground floor and first floor is eye candy -- the furniture, paneling, etc. is all rendered beautifully -- but still has that surrealness that only certain HOG games can pull off #whereas it has a dream quality about it#. The storyline is good. The soundtrack fits the atmosphere. 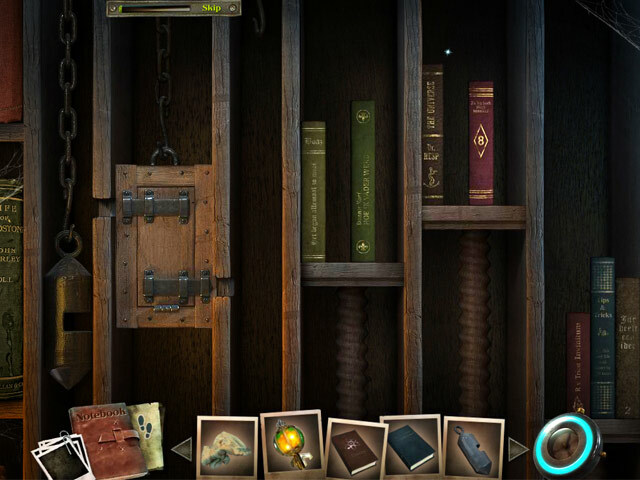 The hidden object areas also have very good detail in line with the over-all detail of the rooms. I found myself scrambling to unlock each room as I couldn't wait to feast my eyes on what was next. Not a big fan of attic rooms and basements #too drab usually# but in this game, even those areas were kinda fun. I'd even go as far as to say this game is better than Ravenhurst which was my undisputed favorite search-the-manor HOG...until now. Future Youda games are definitely on my radar now. Next? Rated 5 out of 5 by tamiprince from Just plain old fun :) This had a great story line, just enough scare with out being demonic. Challenging games. Rated 5 out of 5 by nannamom from Great interactive game I thoroughly enjoyed the game. I did turn the volume down some but just enough that I could hear the person do the dialog. I also turned the volume down on the music through the option link. The game had a lot of hidden areas but it was very nice to have objects from the hidden areas used in other areas as this is what helped make the story line very interesting. Rated 5 out of 5 by FMRhard from Fun game Well developed and challenging game. Finished in a couple of hours and had a blast! 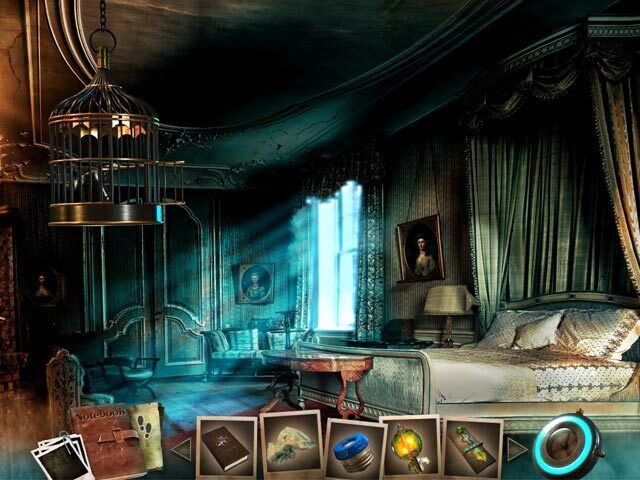 Uncover your grandfather’s secret in Youda Mystery: The Stanwick Legacy, an incredible Hidden Object Puzzle Adventure game!